A man who groomed young girls through social media before sexually assaulting them has been jailed. Shane Fielding, 21, of Cheriton Drive, Bolton, was sentenced to three years and two months in prison. Fielding pleaded guilty to grooming, two counts of sexual activity with a child and three counts of causing or inciting a child to engage in sexual activity. The offences came to light after GMP officers investigated Fielding’s communication on social networking sites. He would seek out random girls living in the Bolton area, with some as young as 13, before chatting to them over the internet, gaining their trust and arranging a meeting. The charges relate to four girls all aged between 13 and 15 at the time. 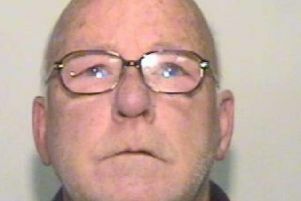 Detective Sergeant Lisa Clarke from the Child Sexual Exploitation Unit at Bolton said: “Fielding used social networking apps to prey on young girls and began grooming them over a period of time, leading to him committing serious offences against them. “I would like to praise the victims for their courage throughout this investigation as well as GMP officers who worked tirelessly throughout this investigation to secure this conviction. Visit www.getsafeonline.org more information and advice about keeping safe online.